Underwater Lights™ have expanded their line of lighting to include the new QtLED brand. In addition to the halogen, xenon and metal halide lights we now have a complete range of underwater and exterior/interior lighting with LED’s. BULLEYT & UL Ti MATE to QtLED. Underwater Lights™ Limited have made a conversion package to change our original metal halide Underwater Lights™ manufactured since 1991 to LED without changing the insert or screwed hull fitting. Click here or email us at retro@underwaterlights.com for more details. Click here to download our brochure for all products. 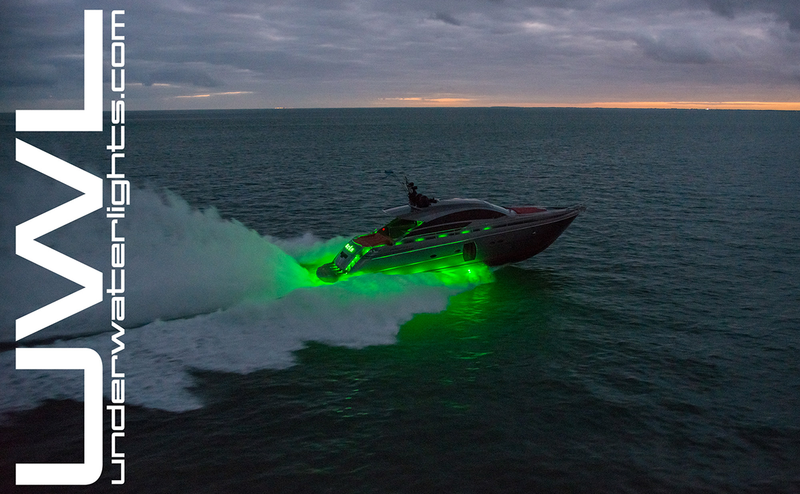 Peter Urquhart, MD of UWL Ltd, listened to key people in the industry to create an underwater lighting program called the “configurator” which provides accurate insert angles, spacing of lights and light beam patterns so the client can view the underwater lighting effect. On design approval each insert has the technical information for installation. The configurator is used as an open source program for projects using our lights and those which are not. Our aim is to turn the tide from over specification back to what is actually needed to protect the customer, shipyard and technical teams from over lighting a project. Lights can be placed at every frame, angled to counter hull forms and beam angles can be changed to suit, along with color options and light intensities giving a good representation of what should be expected from the end result.